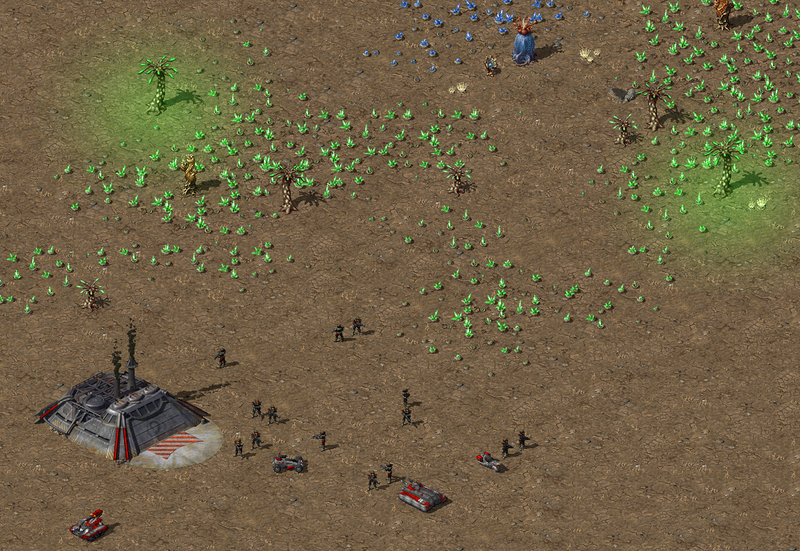 That is the best tiberium I have ever seen! Looks great, looking forward to how the Cyborg will look. That's one infantry unit which I always thought looked particularly bad in TS. They look great except they don't "pop" at all IMO. Either bit a brighter (their grey texture seems darker than other things) or perhaps by giving them a slight outline like TS infantry had. Or both. Nice. How did you do the green lighting? Looking at it, I'd guess a "colored alphalight-alike" SHP image with BlendMode:Additive attached to the tibtree. Graion is right. We are using additive animation everywere we can. Photoshop Level In-Game Screenshots FTW! amazing infantry never expect these small pixel able to show such detail from these angle but when i saw his color me think maybe it should be better if vehicle unit /building use dark brown color instant of grey just like them. 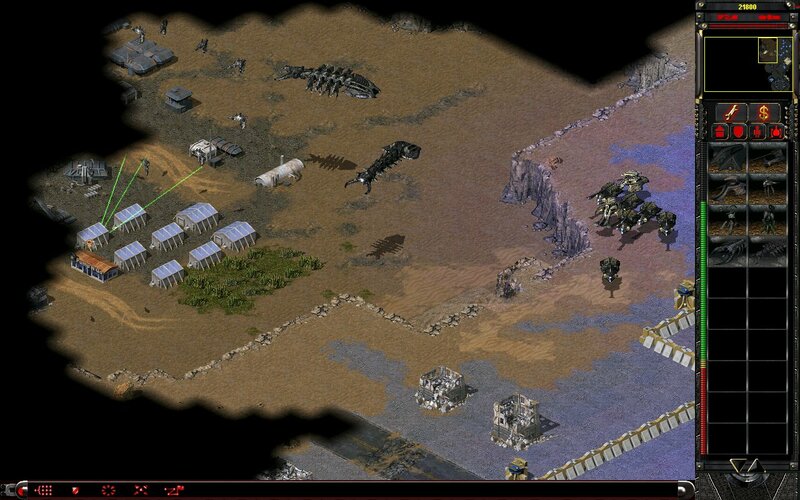 I like REWIRE version for tiberium and other mutated fauna..
How about Bridgehole Monster and it's veins.. The buildings are so huge & infantries are fitting with vehicles by size, This mod should be popular in the future, I am still waiting for that. Any more updates to show us? It's not in 'very' active development for a while now and Gangster moved on so would not expect much given dead in water like state. No. It's not an ORA or Ares. Coding both was fun. As well as graphic design. Second thing I have become bored to death when it comes to Render to PNG, PAL editing, PNG to SHP, PNG to TMP, etc. Sometimes pipeline was over-complicated because I could not agree with downgrading visuals. Second thing I have become bored to death when it comes to Render to PNG, PAL editing, PNG to SHP, PNG to TMP, etc. I do not think people realize how true that is. It's definitely something that killed my interest years ago. Yeah convert shp/tmp is so annoy and boring process specialize remap retouch make me want to kill myself XD. You sure Image Shaper can't be improved to make this a lot easier? I'm pretty sure we can create the tools necessary to make the conversion easier,faster and less tedious. Add an auto-palette mode in which I don’t provide a palette because the program figures out the palette based on the images I add and updates the palette if I add more images. Also provide quick options like excluding glowing/remap and glowing/remap only. 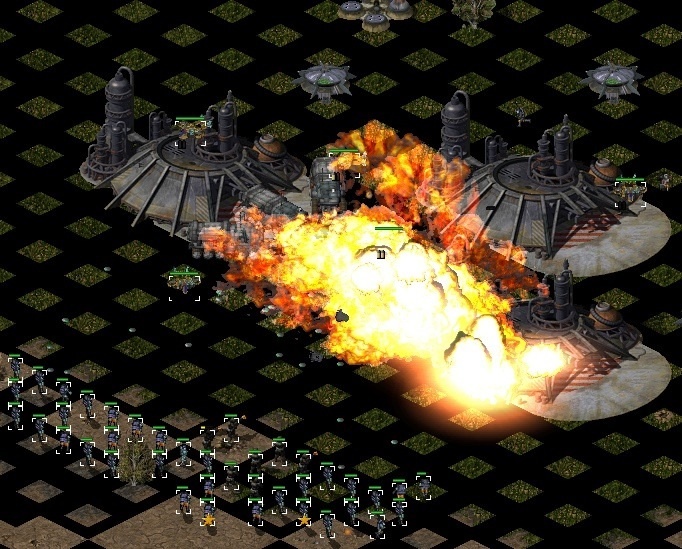 OpenRA got 256 colored PNG handling in this last playtest cycle (asin a trait to read the palette out from a PNG and a sprite loader to read the 256 colored PNG as any other sprite). This allows you to no longer need to convert from a sprite sheet - although you will need to add YAML metadata into the PNG instead if you intend to have the game cut the image for multiple frames and use Combine: for individual frames. TBH what can threw people off at ORA is how XCC Mixer shows multi-framed TMPs as one single image while ORA expects the frames individually, regardless of format (since ORA does not care about formats that much, and you coulda use any sprite format which the game can parse anywhere). Then again, RW was damn too early back then on ORA for sure and ORA is not ready. Notsure if official ORA will ever be.